We have a tradition in our house. Well, I have one anyway. I love to bake fresh cookies every Monday. I have four children who are all in school each day. On Mondays, they come home to fresh baked cookies. Cookies that can then be put in lunch boxes all week and snacked on after school. 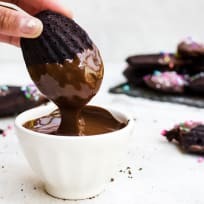 I have missed a few of these cookie-baking Mondays in the past, and my kids let me know it! They complain on Tuesday mornings that there are no “treats” for school. This week I took my favorite Snickerdoodle recipe and gave it a new twist! I love the chewy texture of Snickerdoodles, and wanted to make something fun for the kids to enjoy. 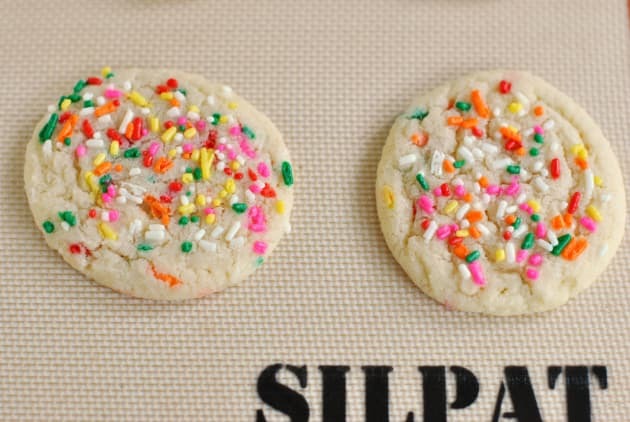 By removing a few ingredients and adding some sprinkles, these cookies were a big WIN! Do you have any family traditions that you practice on a regular basis? Do they involve sprinkles? Beat butter and sugar in mixing bowl for 2-3 minutes, until fully combined and smooth. Beat in eggs, one at a time. Add flour, baking powder and salt, beat until combined. 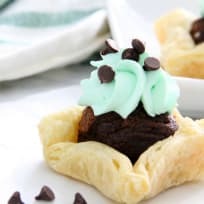 Fold in ¼ cup sprinkles. Refrigerate cookie dough for one hour, covered with plastic wrap. Pour remaining ½ cup sprinkles into a small bowl. Use a 1-2 tablespoon cookie scoop to make dough balls. 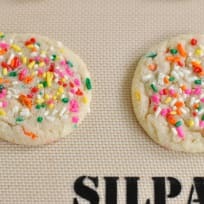 Dip the tops of each dough ball into sprinkles. Place dough on a parchment paper lined cookie sheet, sprinkle side up. Bake in a 350°F oven for 12-14 minutes. Allow to cool completely. 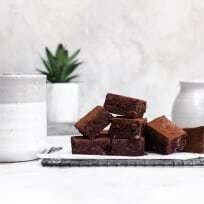 Store in an airtight container for up to one week, or freeze for one month. 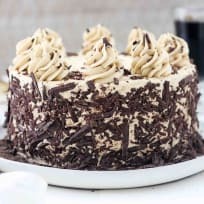 NOTE: I prefer to use the sprinkles that are log-shaped. Sometimes they are called jimmies. 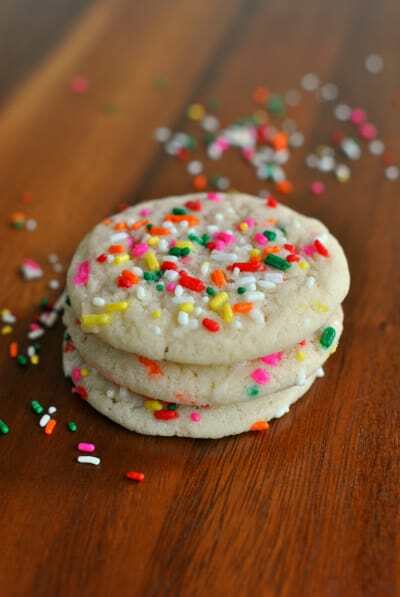 These sprinkles tend to bake the best, becoming tender in the cookie (and the colors don’t bleed as much).